The 20th anniversary of the Dayton Accords (November 21, 1995) is much in the news. A conference this week at the University of Dayton includes President Bill Clinton and several principles from the negotiations. 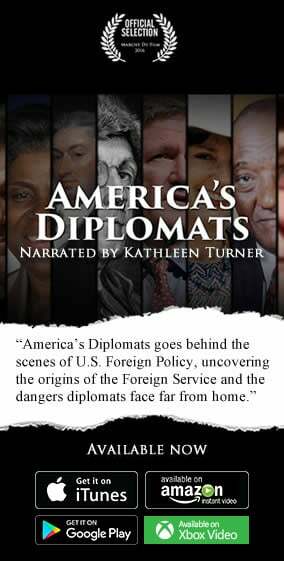 HBO’s documentary, The Diplomat, explores Dayton’s chief negotiator, Richard Holbrooke. Continuing trouble in divided societies like Iraq, Syria, Ukraine and elsewhere illustrates how significant was the Dayton agreement that ended the war in Yugoslavia. But many questions remain. A wide range of analysts are reassessing Dayton. The U.S. Institute of Peace was ahead of the curve, with a conference in 2014. More recently, Stratfor described the risk of declining EU influence in Bosnia, and the risk of renewed violence. The Weekly Standard offered a withering analysis of the agreement, cementing ethnic divisions as political divisions (three presidents, three police forces, etc. ), discriminating against other minorities, and creating an EU colonial master—all of which resulted in a stagnant and unreformed economy. Two scholars in The Washington Post described Dayton as a terrible model for understanding Syria—misunderstanding (as they said Dayton did) the causes of the war and the solutions. An article in Foreign Policy asked straight out: Is war about to break out in the Balkans? Based on my recent travels in Serbia and Bosnia, it seems clear that the relationships inside Bosnia and between Bosnia and Serbia remain strained, at best. Competing narratives over history, that now includes the 1990s and the subsequent peace, continue. And the role of Islam itself remains a seemingly minor, but not fully understood, factor. Young Serbs feel judged, and misjudged, as the perpetrators of genocide rather than as one side of a complicated story, or even as victims. This summer’s commemorations of the 1995 massacre in Srebrenica were a continuation of a Western narrative, they say, that forgets or deliberately obscures atrocities on all sides, and that overstates an admittedly terrible war crime as genocide. They recognize that their path to Europe, that is, membership in the EU, has been delayed for a variety of reasons but not least of all because of these prejudices against them. In Bosnia, meanwhile, the divided government contributes to an anemic economy, with an unemployment rate of 60% for young people. Bosnian Serbs have special access to Serbia, including Serbian passports, and therefore a possible future route into the EU economy. Bosnian Croats can get Croatian passports, making them essentially already members of the EU. Bosniaks, whom we called in the 1990s Bosnian Muslims, are being pulled in competing directions by Turkey and Saudi Arabia. The number of Bosniaks attracted to ISIS or other jihadi groups remains limited, but not zero. A critical difference, however, seems to be the view of the future. The many young Serbs I met were embarrassed and frustrated by the indignities that their country still bears for its role in the war of the 1990s. And it has not forgotten the NATO bombing of their country in 1999—indeed, it leaves the partially-destroyed former Ministry of Defense building “as is” on a major thoroughfare. But the young Serbs were at least hopeful that membership in the EU, that golden ticket, was a possibility and indeed was nearing, however slowly. The young people I met in Sarajevo—equally smart and ambitious and hardworking as their Belgrade peers—had no such hope. They knew that the political divisions within their country, many of which were driven by the same divisions that led to war in the 1990s and that were made permanent by the Dayton Accords, prevent any reasonable path to the EU, and even any reasonable working governance in their own country. Two young women I talked with said they wanted to rebuild a multi-ethnic country, but that the economy, health care, and corruption compelled many of their friends to emigrate. Bosnia’s most recent elections were decently run, but seemed to offer few solutions. The danger for Bosnia, Europe, and all of us, is that this hopelessness will allow violence—ethnic or jihadi—to re-emerge. The task for the EU, for Bosnia’s benefit and for its own, is to help Bosnia find a new path forward.